One hand for the ship, and one for yourself. Your child with ASD may be depending on you, but you do not have limitless physical or emotional resources. You need to take time to refresh yourself, if for no other reason than to regain your energy to continue meeting your child’s needs. Before your child with ASD was diagnosed, did you have a career? If so, can you do at least part-time work within your field of interest? Do you have a hobby – especially one that brings you into contact with others? There are tons of on-line groups that cater to hobbyists of all kinds. Perhaps you are affiliated with a house of worship. Typically, these include study, volunteer, or community-oriented activities, that you might find rewarding. The point is, you need to provide your brain with something else to focus on besides your child’s needs every once in a while. It should be something that gives you a feeling of competence, and accomplishment. Parents who have a life outside of the home make better parents than parents who feel trapped inside the home 24×7. If you find yourself saying “I’m too busy taking care of my child to do take on anything else!,” or “I just don’t have the energy…,” then this message is especially for you. There is a slippery slope that starts with well-intended dedication, but ends in workaholism. For the workaholic, even the thought of taking a break becomes anxiety-provoking. Been there, done that! 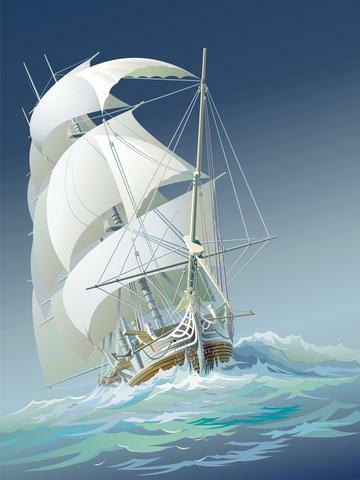 So, take a tip from the sailors of 200 years ago: When they had to climb aloft in a storm to reef the sails, clinging to the rigging while the ship tossed this way and that, they lived by the motto “One hand for the ship, and one for myself!” You do the same.